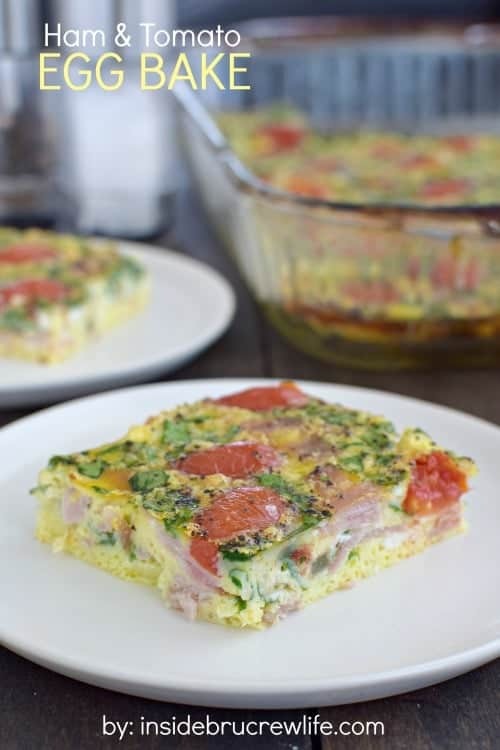 This easy Ham and Tomato Egg Bake is the perfect breakfast or brunch casserole. 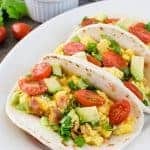 It is full of veggies and protein and tastes delicious. Have you made some healthy eating goals this year? Notice I didn’t say resolutions. 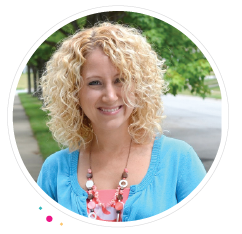 Why is it that goals seem easier to work for than sticking to a resolution? If I set goals, I tend to reach for them harder. A resolution seems to be something that I do not follow through with as well. Over the past year, my husband and I have been trying to eat healthier and stick to a good gym routine. When I started, I never thought I would say I liked working out. Shhhhh! Don’t tell my hubby that! I like to pretend I’m mad at the world when I’m throwing those 20 pound balls around and lifting weights and kettle bells. It just makes it a little bit easier to get through the work out of the day. Along with working out, comes eating better. Another thing I have to admit is that when I eat better, I do feel better. Now don’t get me wrong there are still the occasional homemade brownies and pudding cookies that call out to me and have to be devoured. These days though I am working more on moderation in what I eat, instead of cutting entire food groups out. One brownie isn’t going to derail my daily eating like a whole pan would. One thing that we like to keep on hand each week is an egg bake. 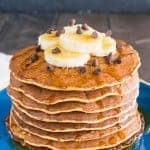 This is an easy breakfast to make at the beginning of the week and have ready all week long. Usually I make mine in a 9×13 pan and cut it into 12 squares. It’s the perfect amount for both my husband and I to divide up for the week. These eggs also freeze really well. Place them on a parchment paper lined tray for about an hour, and then transfer each square into individual Ziploc bags. 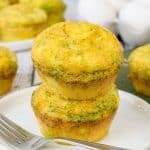 Egg bakes are great because you can chop up any veggie or protein and whisk it into the eggs. Perfect for keeping those veggies in your fridge used in a timely fashion. I can’t be the only one who “loses” veggies each week into that black hole called a crisper. This Broccoli and Cheese Egg Casserole is another one of our favorites to change up what goes into our eggs. Healthy eating definitely is something you have to work at, but the benefits and results are worth it. 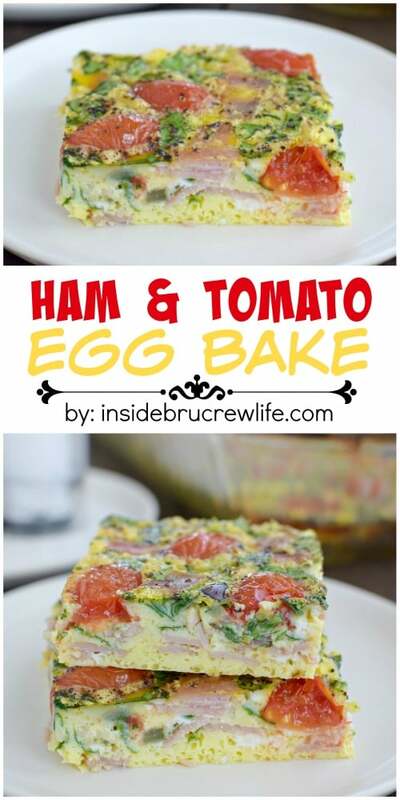 Make sure you visit Food Fanatic to print the recipe for this Ham and Tomato Egg Bake. I think the key is just doing it every week. I have to admit that I didn’t really enjoy it that much the first 6-8 months, but now I actually like going. LOL I like eating the bad food too much…so I need to work out to balance it all! Love this beautiful breakfast! Colorful and delicious!! This looks like a tasty breakfast! I totally agree with you! Working out and eating better go hand in hand! I tend to gain momentum with one when I start doing the other! 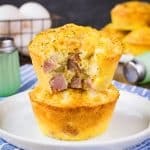 I also agree that egg bakes and egg casseroles are sooo great to have on hand! 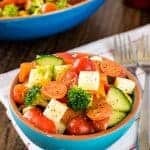 Protein and veggies all in one! The ham and tomato combo here sounds wonderful!! Thank you! And yes, they do go together so well. I find that I feel so much better if I eat right and work out! I love the idea of baking eggs, it’s incredibly easy. Love this recipe- looks mouthwatering. This is a great breakfast! LOVE! I hear you with working out. I hated it until I found something I actually enjoyed doing which is running. But getting mad 😉 certainly makes it morE fun. I love that this breakfast can be frozen! Im starting to do freezer cooking and always looking for new ideas. This also looks delicious! Hahaha! Yes, feeling “mad” does make it seem a little more fun 🙂 I do a little running too. It took me a while but now I enjoy that too! Love having breakfasts like this on hand for weekday mornings! Eggs for breakfast are totally my thing, I need the protein. 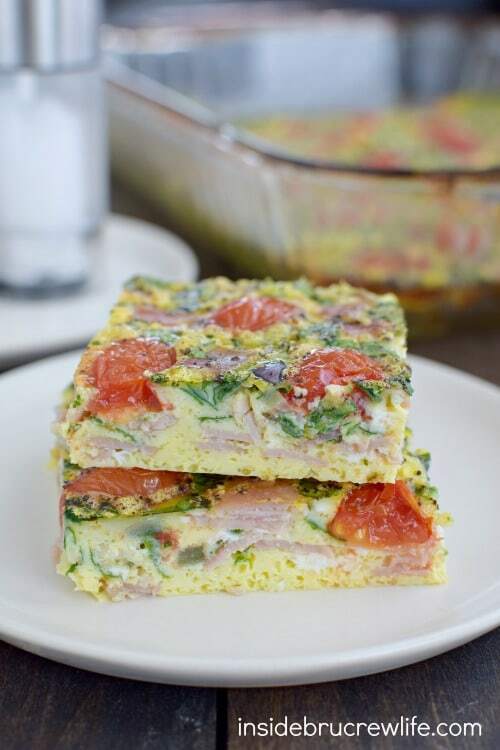 This egg bake looks delicious and I love that it freezes well! Thank you! 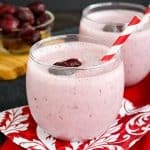 I love an easy recipe that freezes well too. I need to find some more like this! That looks perfect! I love it! I just bought my first kettle bell and I’m loving it! 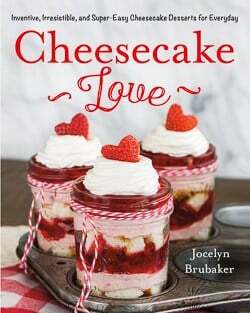 This bake looks fantastic, Jocelyn! Just the thing you need after a good workout. I love the ham and tomato combo, sounds delish! Pinned! I’m with you – call it a resolution and it fails. I’m also trying to eat healthier and workout harder lately. I definitely feel better when I’m healthier, but boy do I miss eating more of the desserts I make. 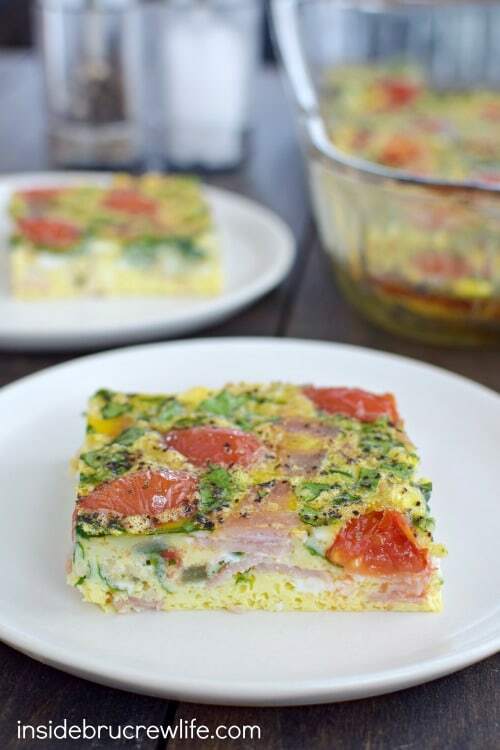 🙁 This egg bake would totally make a great morning breakfast though! Totally love this! Tell me about it…I have all sorts of goodies in my kitchen and staying out of them is tough. Although eating better and working out makes me feel so much better too! Yay, way to go on all the healthier choices, Jocelyn 🙂 This egg bake looks fantastic and a great way to start the day!